Happy Sunday everyone! This past week was full. I’ve been working on slowly packing the apartment up. I’ve got our office packed along with all our nonessential books (you know the ones we’ve already read ?). Yesterday a friend of ours stopped by and we gave them our son’s crib and baby stuff. We’d held onto all of it in case we got pregnant while we were here. Since we didn’t, neither of us wanted to haul all that stuff yet again. SO I’m so glad we could find someone to donate it to that needs it. Reading wise it was a slow week this week. I only managed to read two books, one of which I forced myself to finish. Hoping this is a better reading week. I’ve enjoyed seeing everyone’s pictures from BEA! It looked like so much fun. I hope to join y’all next year ? I’m roughly half way through with Mike Mullin’s Ashen Winter and let me tell you it is just as good as the first! A little violent for my taste, but SO good! I started The Crown’s Game by Evelyn Skye last night. I have a feeling it will make up for my poor reading this past week. Today is the last day of the mini-challenge and while I didn’t get all my posts completed (32 is a lot!) I did managed to complete 28 posts and prep another 10. I am set for this summer! To keep up with my progress, follow my shelf on Goodreads! Little man’s last week of preschool is this week. I’m so proud (and amazed) of all he’s learned this year. At the start of the school year, he couldn’t write his name and hated to color. Now he loves arts and crafts, will sit for hours and color and can write anything you ask him to…you might have to spell it but he can do it. AND he’s starting to read a little on his own. Thursday is his little graduation ceremony for preschool. I have tissues packed and the camera charging as I write this. What are your plans this week? Ashen Winter looks right up my alley. You’ve got lots of great books on here, thanks for sharing. Well done on completing 32 posts for the challenge and good luck with the move! Hope you have a fabulous week and thanks for stopping by. I love the Ashfall series, it’s definitely one of my favorite post-apocalyptic series! I’m glad your son enjoyed his time in school. And great job on the Blog Ahead challenge! Oh, I hope the move goes well….moving is an anxious time. Enjoy your new books…I’m curious about Random Acts of Crazy. Congrats to your little one’s preschool completion, with all the successes he achieved. Enjoy the next year…and your reading week, too. Thanks for visiting my blog. I am sorry to see you weren’t able to finish Queen of Hearts. That doesn’t bode well for me who is planning to read it. I think you’re the second book blogger I’ve come across that hasn’t liked it. Queen of Hearts just wasn’t for me. I tried SO hard to like it but just couldn’t. Hopefully it’s better for you. Yay for preschool graduation!! I’m so happy to hear that he is loving things like reading and writing! That makes my teacher heart happy 🙂 Good luck with the move! Thank you! He really is loving school. I hope that love follows him into Kindergarten and beyond. Aw preschool graduation!! My little one starts her last year of preschool nect year and my littlest one starts his first year next year. Goes by too fast!! Good luck moving and have a great week!! So, kudos to you setting your goal to 20 books in one month. There is no way I could ever do that! So you can do it! Yeah I think I aimed too high. Lol! We’re moving next month and I haven’t read near as much as usual. I have The Crown’s Game on my New Audiobook Releases post for this week. My plans for the week include having family come to town so we can go to my oldest nephew’s HIGH SCHOOL graduation. I can’t believe he’s that old. I didn’t read a ton this week either, maybe next week will be better. 🙂 I’m curious what you thought of Admiral as I saw Kimba’s review last week and it looks interesting too. Glad to hear Jungle Book was good, it looks so good visually and reviews have been good but I have’t had a chance to see it. I struggled with Admiral which was a real disappointment after reading Kimba’s review. Lot of potential just not my kind of read. Though the ending did make me want to keep reading the series. Think Star Trek crossed with Star Wars/Firefly. I hope you will be able to join us at BEA next year! Good luck with all the packing, sounds like you’re making some good progress. Last time I moved I also packed the non essential books first. Packing your books is always a hard. And that’s great you got to make someone else happy with the baby stuff! And reading two books in an already busy week still sounds like a nice amount to me. 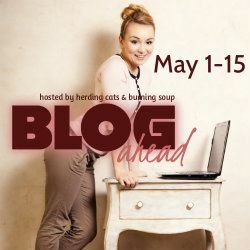 And wow you managed to get a lot of posts done for Blog Ahead! I managed to get 16 posts done in total, which was way more than I had expected so that was great. Enjoy your new books and have a great week! Sorry you didn’t have a very good reading week, but at least this one seems to be going better! I’ve been wanting to try the Ashfall series, so I’m glad to hear you’re enjoying it. Good luck with all your packing, and enjoy your books! Congrats on your daughter and preschool!! I teach 1st grade so I get genuinely excited about things like this lol and I can completely relate to a slow reading week. I just completed a readathon and didn’t quite meet my goal with work, etc requiring my attention. I love Mike Mullin’s series! And I just started The Crown’s Game myself! So far it has been good. It is one I was just going to read one chapter before bed, and then I was like just one more, and then one more. It’s good so far! I had to go grab a few of the free books you had listed above. Hope you have a good week! And thanks for stopping by my Sunday Post earlier! Great list of books. Enjoy them! I’m planning to go to BEA next year too and it will be my first time! Hopefully I’ll see you there! 😀 Have a great week! The Crown’s Game really does sound interesting and it keeps on popping up on so many sites! Guess I’ll have to try to get it as soon as possible. I used to teach pre-K and it sounds like your little one had a great year! 🙂 Enjoy your new books and have a great week! I love that the little man is reading already. You have some great looking books and I couldn’t help but stop when I saw the cover for Broken Forest. Thanks so much for visiting my blog.